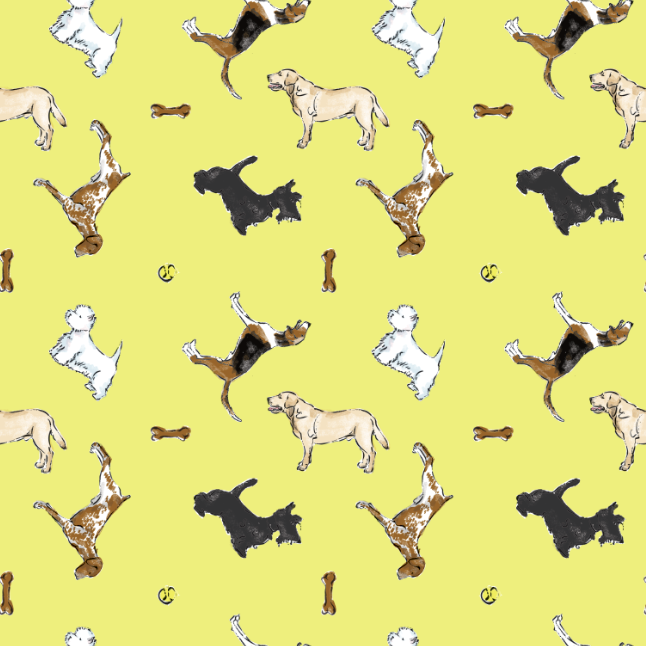 Buddy in yellow is a collection of some of our favorite doggies - and hopefully yours. 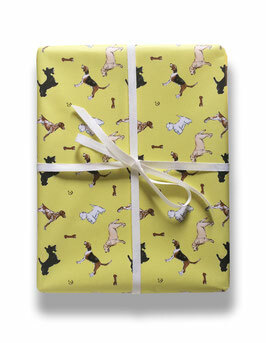 You'll find a yellow labrador, german shorthaired pointer, westie, scottie, and a foxhound. Dog treats and tennis balls are thrown in to round out the pattern. It also comes in blue. Fetch, Buddy. Good boy!